With strong links and established relationships in both the UK and the Far East, WW&W are perfectly placed to source, bottle and distribute the world’s rarest whiskies and wines. They build exclusive relationships with suppliers, making their selection of wines and whiskies unique and therefore offering their clients a service that distinguishes them from many other merchants and brokers. Wisdom Whisky and Wine needed a website that would be an attractive shop front for their brokering of Scotch whisky bottles and casks, fine wine and cognac. With in-depth knowledge of their products superior to that of their competitors, it was key that WWW’s expertise were made easily accessible with a website that comprised of a solid structure, and logical user journey. Foundry Digital’s web design team made it a priority to display WWW’s knowledge, and subsequently created defined areas within the website. 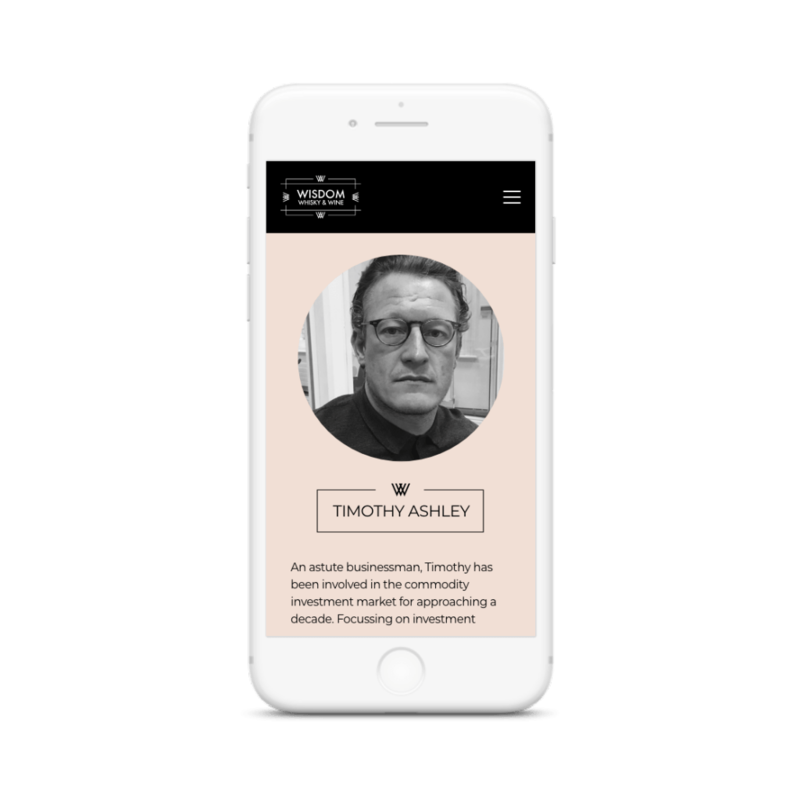 The aim was to provide a user journey that was seamless from website entry, through to exit. At the same time, working out how best to incorporate the company logo and branding into the web designs was also key. 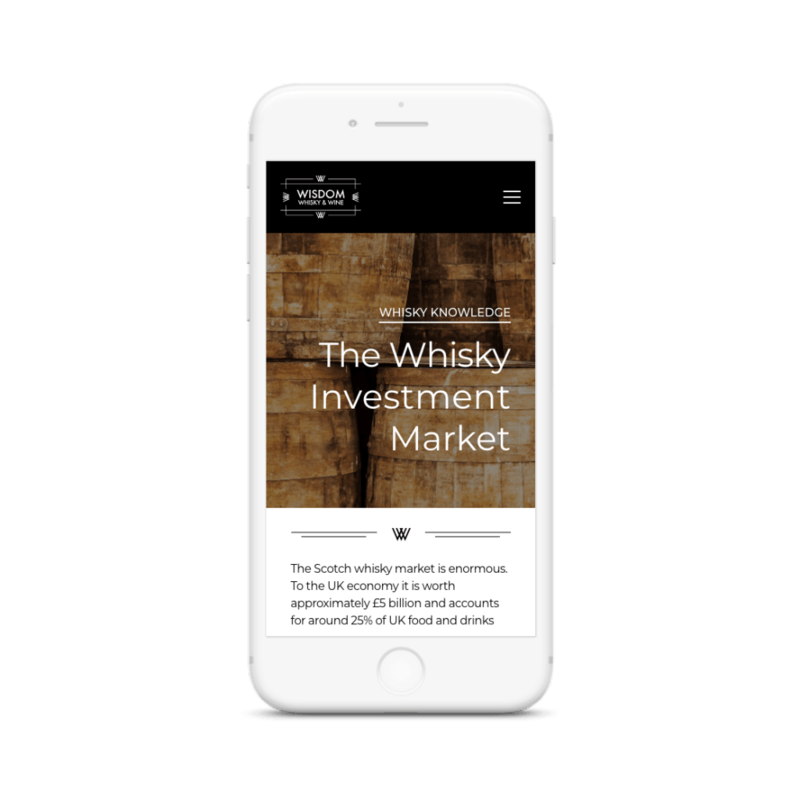 The Wisdom Whisky and Wine website is a smart and professional design and build. The W element of the logo is continued through the page design, developing a consistency to their brand and identity. Its scrolling page functionality offers a smooth user journey that WWW strive to replicate through a sleek service, making their online platform an ideal extension of their brand.